Whether you already own a credit card or are thinking of applying for one, you should know how to use it responsibly. Credit cards can make financial planning easier, but they need to be used the right way! Why use a credit card to pay your bills? Putting monthly bills such as electricity and telephone charges on a credit card can help you stay on track with your budget. This applies to one-off charges as well. Most credit cards feature a zero-interest repayment window, which could be up to 45 days from the transaction date. You can avoid cash crunches, especially at the end of the month, by using credit now and repaying it before the due date. They also provide better consumer security. It’s easier to get your money back in case of errors, fraud or identity theft. Every transaction made on a credit card is tracked and recorded, so you can review all your spending in one place. Regularly using and paying off a credit card helps you improve your credit score. It’s a great way to build credit for later. You may earn extra cashback, reward points or other benefits by making a credit card payment for utilities, phone bills, etc. Rather than shifting all your expenses to the credit card right away, start small and increase your usage as you get used to it. Don’t apply for multiple credit cards. They only increase the temptation of unplanned spending and can lower your credit score. Unpaid bills attract interest. Get used to repaying the full amount by the due date, rather than just the minimum payment. Avoid cash withdrawals, which incur higher interest. 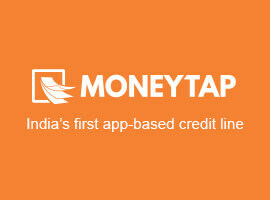 If you have a MoneyTap credit card, access funds through the app instead. Carefully review your credit card statement every month. Report any suspicious transactions or duplicate charges right away. Don’t share your credit card information with anyone you don’t trust completely, and only use secure sites for online shopping. How can you Manage EMIs on Your credit card? Review the annual fees, interest rates, late fees and processing charges before making a large purchase with your card. For large purchases, select a repayment term that you can handle. Slightly higher interest rates are better than late fees! Avoid adding more expenses to your credit card when you already have EMIs on it. Wait till you have paid it down a bit. Keep track of your credit card’s billing cycle and due date to avoid missing an EMI payment and getting charged a penalty. Today, credit card payments are accepted virtually everywhere. You can use them both online and in physical stores, restaurants, hospitals, and more. Yes, and it may even be safer than other modes of payment. Credit cards feature better liability and fraud protection, to help keep your money safe. How can you check where your credit card was last used? You can check recent transactions by logging into the account linked to the card, call the card provider and ask for the details, or even email them. Can credit cards be used to pay down debt? You can definitely lower your debt with a credit card, by paying off high-interest loans or EMIs with a card that has a lower annual interest rate. How frequently should you use credit cards? Since credit cards are safer than debit cards or cash, use them as frequently as possible. To keep a card active, use it at least once every 3-4 months. Can you use Indian credit cards abroad? Most types of credit cards can be used around the world, but you should confirm this with your card provider if you’re planning to travel abroad. Can you pay credit card bills online? Yes, credit card bills can be paid online through various payment methods, including bank transfers, direct debit and other credit/debit cards. Can other family members use your credit card? Yes, but get them an add-on card instead. Stores may ask for identification before swiping a card, and chances of loss are higher with shared cards. Can you use a credit card to transfer money? Direct transfers aren’t possible, but you can load an online wallet using your card and then transfer the funds to a bank account or another wallet. Note: With a credit card linked to MoneyTap’s personal line of credit, you can transfer money to your account through the app instead of using the card. MoneyTap’s credit card 2.0 is linked to your personal line of credit, combining the benefits of a personal loan with a credit card. Download the app for flexible credit that works your way! MoneyTap Credit Card 2.0 is linked to your personal line of credit, combining the benefits of a personal loan with a credit card. Download the app for flexible credit that works your way!